I hope your weekend has been as beautiful as ours! I'm talking….shorts and working in the yard. We worked on cleaning out a few beds and laying fresh mulch. In years past, we have always had the back of our truck filled high with a scoop or 2. In the fall we laid new sod in the backyard so the mister doesn't want to drive the truck on it. So off to Lowes we went and purchased 50 bags of mulch. It was on sale for 5 for $10. I don't know why we haven't done this before now. It is so much easier carrying a bag, dumping it and spreading with a rake. So much easier. Our official last freeze date is April 15th. I will not be planting annuals and buying my ferns until that date. Things are looking great in the back! Easter will be here in just a couple of weeks. Today's features are all about…. 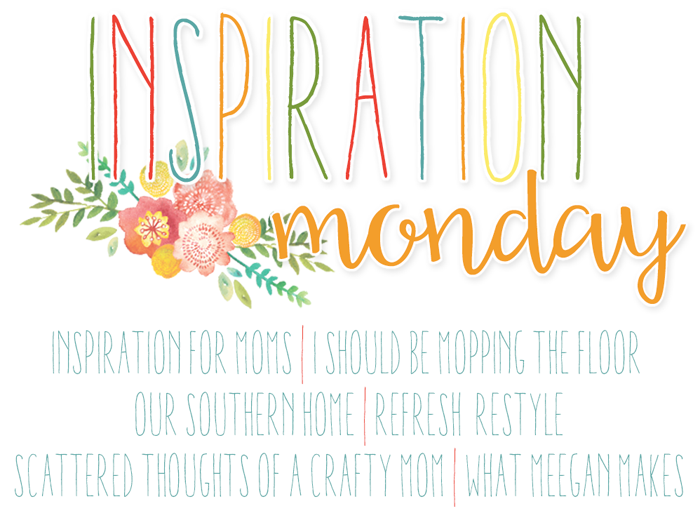 Today's features have been selected by Christy from Our Southern Home. Hi Christy. Thank you so much for including my spring mantel in your features this week!